One of the best things about having a blog is being able to be your own marketing/sounding board for your own projects! I rarely do this, but today I want to encourage each of you to stop by any of the following online markets and purchase my first, inspirational, fiction novel, “Enough Time”. If there were ever a piece of work I could have written that expounds on the idea that redemption exists for ANYONE that seeks it out, “Enough Time” is that piece. I would love to have your support in reading it, sharing details about it with your friends and family, and of course, receiving your personal reviews of the book. It’s an awesome episodic story that touches on real life, hard, situations, but leaves the reader knowing that, they too, can begin again! Check out the official book trailer directed by Raf Valentino Films and co-produced by me and Raf Valentino. Not sure if it’s the next good read for you? Click here to read an excerpt. Until the next posting, I hope you support the book, receive the message, and enjoy it as well! Almost a year ago, I started this journey to become a published author. I promised myself that before I met my maker, I’d accomplish my life long goal of being known as Author Christin Webb. Four months from today will be my one year anniversary as an author and the journey feels better than I ever could have imagined. I’m feeling very reflective this morning about my journey. Less than four or five years ago, I walked my path of life aimlessly trying to fill voids that I, at the time, unknowingly knew existed. Now, every day my life is filled with a happiness I NEVER thought could exist. I spend my days planning on how to best promote my work. I use my nights to work on the next story that spins around in my creative head. And somewhere in between those days and nights I find my happiness. There was a time that I did nothing but self-destructing activities, putting myself and my future in harms way. I am overwhelmed at times now because my activities are so self-fulfilling; self-satisfying. It’s a great feeling! I could go on and on about my happiness, but I’d rather you just continue following my journey with me. 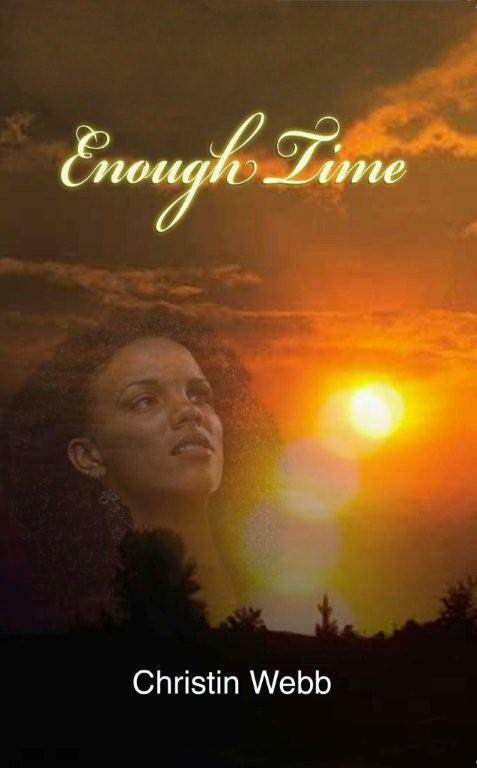 If you can ever do anything to actively show your support of me as Author Christin Webb, stop by http://www.amazon.com or http://www.barnesandnoble.com to purchase a copy of my first fiction novel, “Enough Time”. And maybe you can’t purchase a copy, feel free to share details about the book, where to get it, where I’ll be, etc. by visiting my personal website @ www.christinwebb.com! Check out the official trailer for “Enough Time” at https://www.youtube.com/watch?v=BvvFbXd2Jz4. Want to meet me in person, Sunday, June 2, 2013, I’ll be reading and signing books at the Sisterhood Showcase’s Author’s Corner hosted by Pyramid Art, Books, and Custom Framing from 1-2:30 and 5-6 p.m. I’d love to see you there!